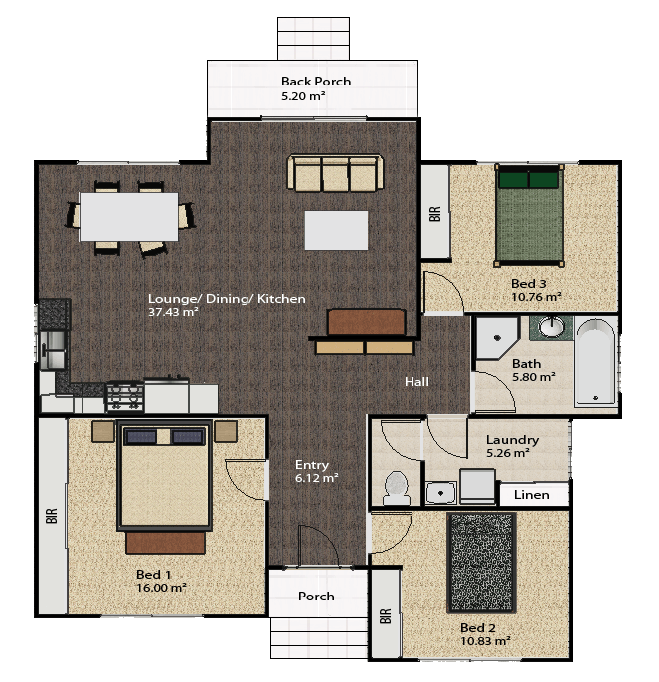 The Adena is a home perfect for the first home buyer or investor. Evert available internal area is utilized in the the home to maximize the living area. Because of the design this home will be easy to extend onto at a later date if an extra bedroom office is needed. All bedrooms are a good size and have built in robes.